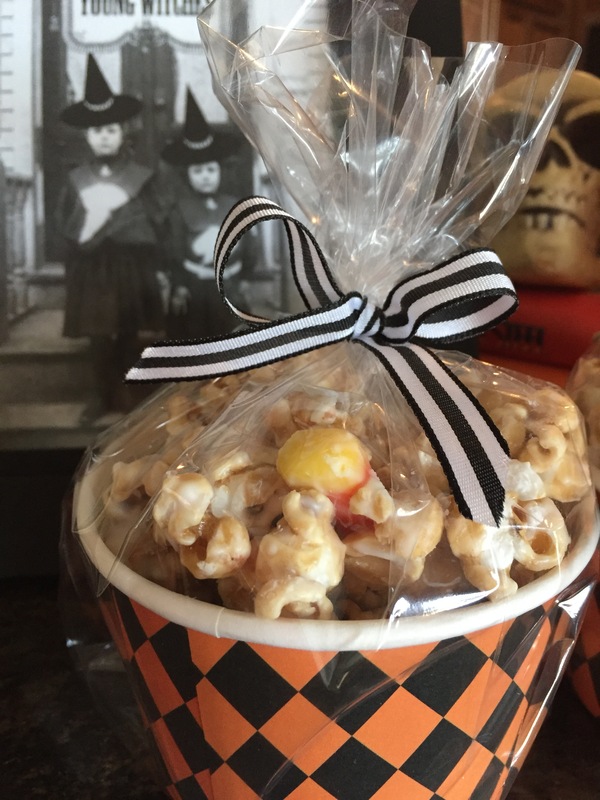 I think everyone loves Caramel Corn and then add peanuts,candy corn and white chocolate, EXPLOSION of sugar awesomeness! 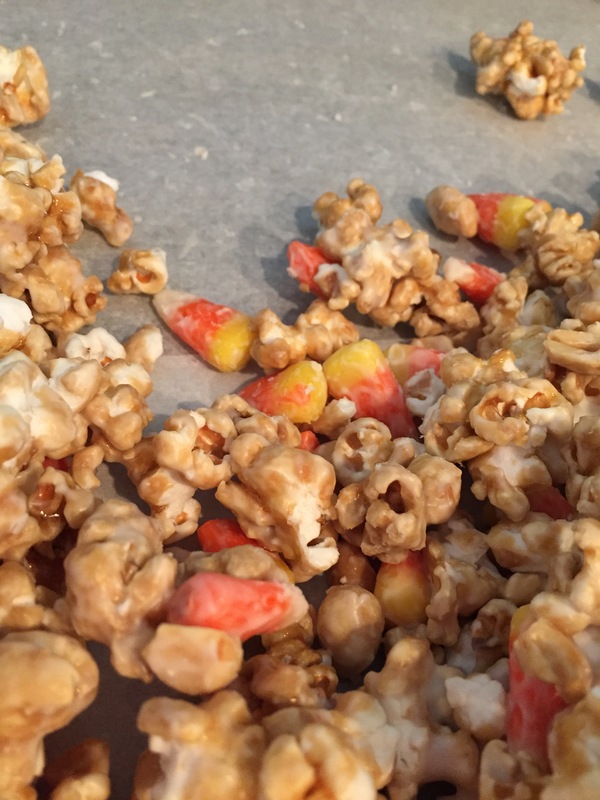 Super easy,yummy and this corn screams Halloween.They say if you eat a peanut and a candy corn together it tastes like a Payday Bar. Brilliant I say! This is gonna be good. I bought one of those HUGE bags of popcorn from Costco ( enough for 2 batches, followed these easy instructions and done. Wrapped up cute they will make great little gifts. Who doesn’t love to get homemade goodies wrapped up with love? Happy Halloween! Pop popcorn according to package. Place popped corn into a large mixing bowl (make sure to not add any seeds). Set aside. In small saucepan over medium heat, melt butter with sugar, corn syrup and salt. Bring to a boil. Remove from heat. Stir in baking soda and vanilla. 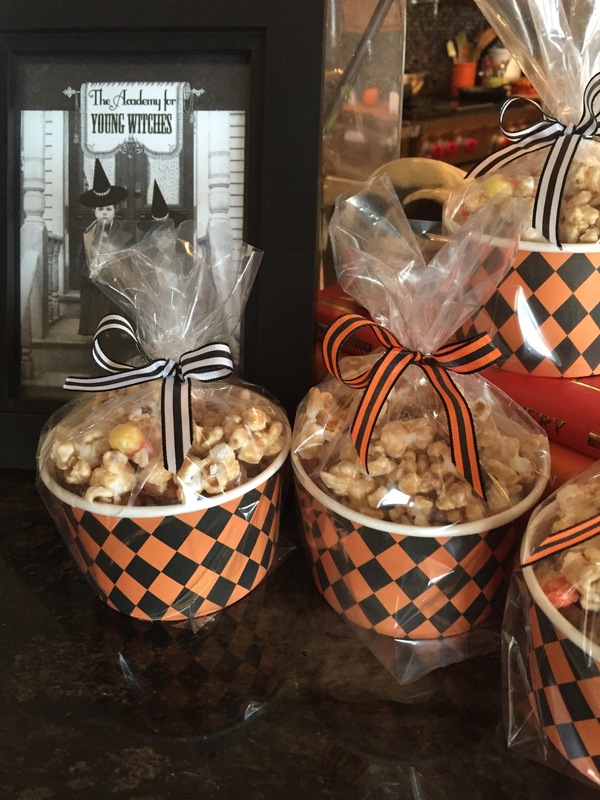 Pour over popped corn. Mix well. Divide caramel corn mixture evenly into two foil lined broiler pans (or large disposable lasagna pans would work too) Bake in a 250 degree oven for one hour. Stir every 15 minutes, and rotate in oven. After one hour, remove from oven and pour into a large mixing bowl. 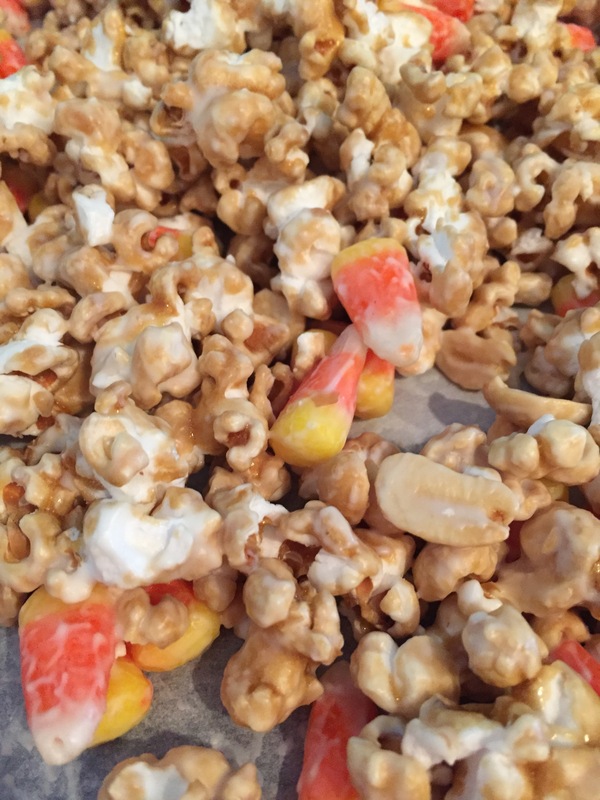 Melt vanilla bark according to package directions and pour over caramel corn. 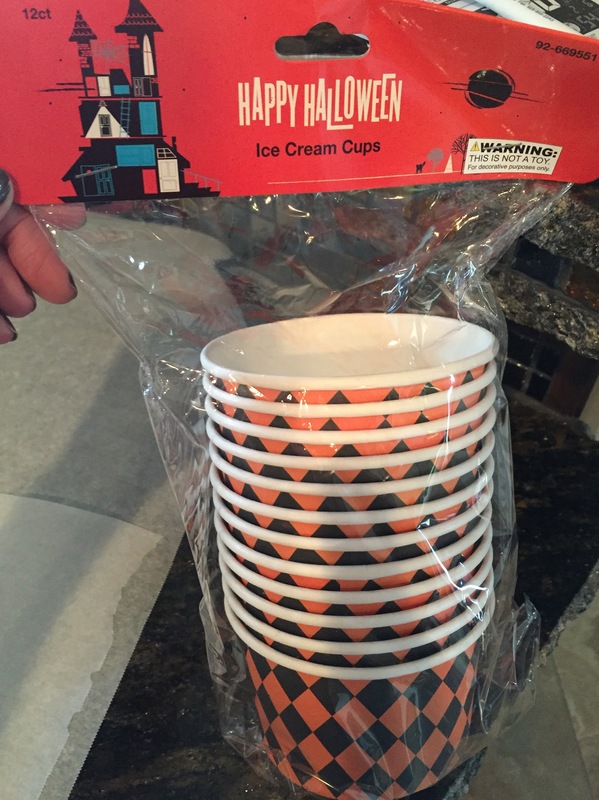 Add in peanuts and candy corn. Pour onto parchment paper (I lay a big strip down on my counter top) and allow to set, about 30 minutes). Once chocolate is set, fill two large gallon sized ziploc bags and seal.